Born in Dauphin, Man., Pat Ginnell was a right winger on the Flin Flon Bombers Memorial Cup championship team in 1956-57. 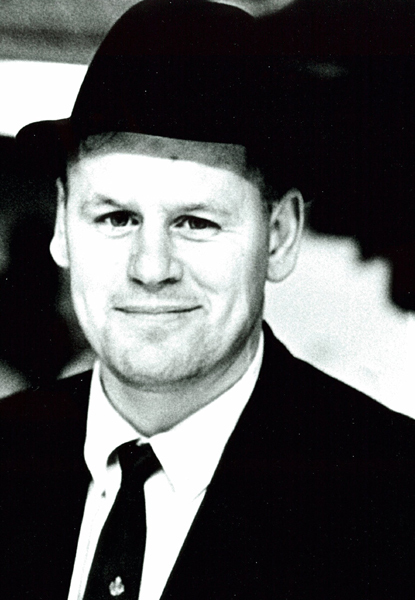 In 1966, after a decade playing in the Western Hockey League and International Hockey League, Ginnell returned to Flin Flon to coach the Bombers in the MJHL. The Bombers would go on to win the league title and the Turnbull Memorial Trophy that year. The Bombers would go on to join the Western Canada Junior Hockey League (later the WHL) for the 1967/68 season. Through 7 seasons at the helm in Flin Flon, Ginnell's teams would win the league title twice and Ginnell was the WCHL coach of the year in 1969-70, 1970-71 and 1972-73. Ginnell would leave the Bombers to take charge of the WHL Victoria Cougars for the 1974/75 season. Ginnell would spend 20 years coaching in the WHL, later coaching the Lethbridge Broncos, Medicine Hat Tigers and New Westminster Bruins and Swift Current Indians for one year in the SJHL. His winning percentage was above .500. He later served as a pro scout for the St. Louis Blues.